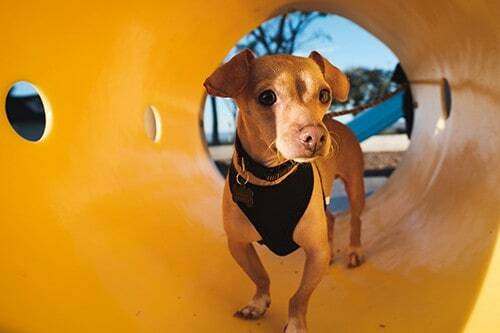 The DiscoverMe Project™ is a program that allows sheltered dogs from the County of San Diego Dept. 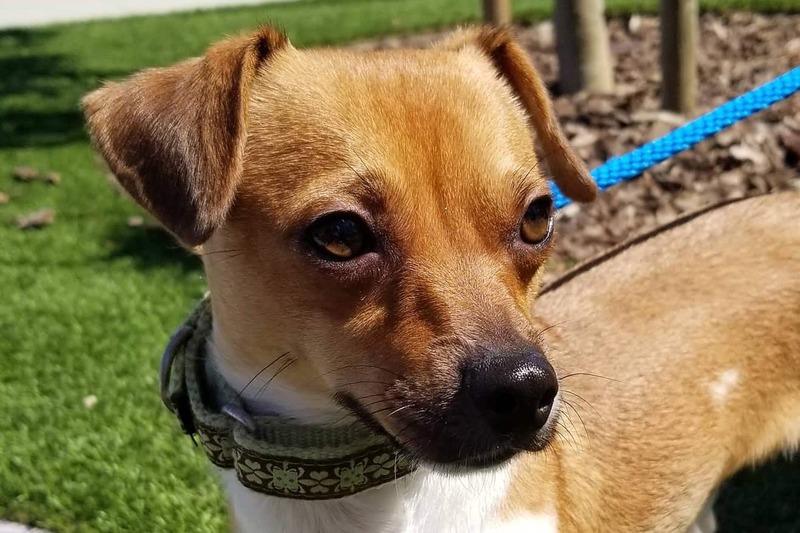 of Animal Services – Carlsbad Shelter to go into temporary 2-week foster care with an approved Wagging Dog Rescue foster home so they can get a break from the stresses of being kenneled while providing mental, emotional and physical relief. The temporary reprieve also gives dogs a bit of a ‘reboot’ and enables them to better handle the stressful environment upon return. Check out this great article from Maddie’s Fund about a pilot study conducted in 2016 on this very subject! Here is another great article from Science Daily about the benefits of short-term fostering! This story is a testament to the benefits of short-term fostering! While in foster care, we’re able to learn more about the dog when in a normal home environment, which doesn’t always align with behavior seen in a stressful kennel environment. We’re able to share that valuable information – as well as foster provided photos and videos – with shelter staff and potential adopters in order to aid shelter marketing and adopter selection. As a secondary goal to the DiscoverMe Project™, through rigorous marketing and promotion we ultimately hope not to return the DiscoverMe Dog™ to the shelter but instead to see that animal safely in the care of a forever family or reputable rescue with a foster care provider. If you’re an experienced dog person and are interested in temporarily fostering a DiscoverMe Dog™, email us today! Can’t foster? You can still support this wonderful program with a tax-deductible donation. There are no dogs currently in the DiscoverMe Project. Check back soon and see our successes below! Natasha was one of our first DMP success. She sat in the shelter for almost three months and even got a feature as the pet of the week on the county site. More reserved and withdrawn in her kennel, people kept passing her by. It took the first 8 days of her stay in our DMP foster home before she really started coming out of her shell. We found her family during her July 2017 time in the DMP and they adopted her directly from the shelter before we had to take her back! Natasha has a sweet fur brother to play and cuddle with as well as several feline siblings. Thank you, Tee and Gabe, for fostering! Dallas fka Pony Boy – ADOPTED! Dallas, formerly known as Pony Boy in the shelter, went into temp foster in July 2017 and we were able to find a long term foster before he had to go back. The shelter provided Dallas with a much needed groom as well as a much needed dental, but deaf senior dogs are not exactly the type to fly off the shelter shelves. Lucky for this golden boy, we knew just the lady who would give him the perfect forever home. A repeat Wagging Dog family who previously adopted another deaf senior cocker gal from us, Dallas’ new mom said YES! when we asked if she had an opening for another sweet senior much like her first. Dallas now has an amazing life and gets to go everywhere with his momma, even flying in their airplane to destinations unknown! Thank you, Machi and Chris, for fostering! Cece fka Coco – ADOPTED! 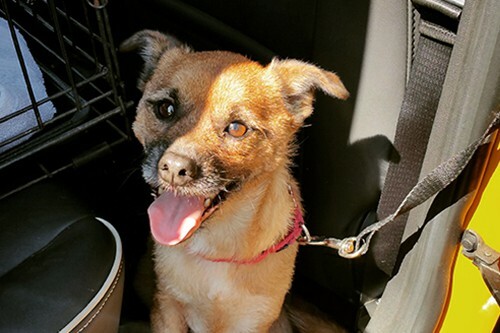 Cece, formerly known as Coco the terrier at the shelter, went into temp DMP foster in July 2017 after not presenting well in her kennel for the previous couple months. She turned out to be so perfect once in a normal home environment that her temp foster family offered to foster her until we found a forever home! So we did!! 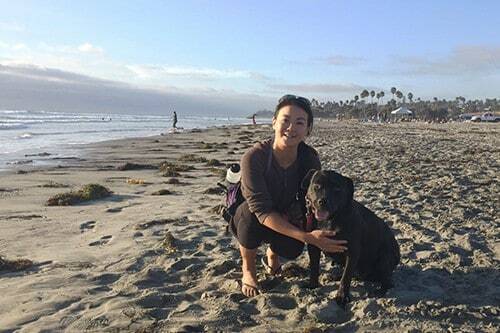 Cece is now Fiona and has a fun loving life in Los Angeles with her forever fam and a turtle sibling!! Thank you, Schneider Family, for fostering! Thea fka Bettie – ADOPTED! Not an official DMP dog, Thea was known as Bettie when she arrived at the shelter in May 2017 with 25 of her closest relatives. Part of a sad hoarding situation, this beautiful dog was found in a yard by animal control, nursing a litter of puppies, with over 100 foxtails embedded all over her body including her ears and mammaries 🙁 She was among the last of her group to find a forever family even though she was the most social of the bunch around humans. Her mom and dad reached out to us about two other dogs then in the DMP who were not the best fit for their family. One of our dedicated DMP fosters, also a shelter volunteer, met mom and dad at the shelter and introduced them to Bettie. They were the first in line the next morning to adopt sweet Bettie on Clear The Shelters day in August! What a happy ending for this once neglected beauty! Thank you, Melanie, for making this possible! Pretty much everyone in the rescue was in love with lil man Monty lol. 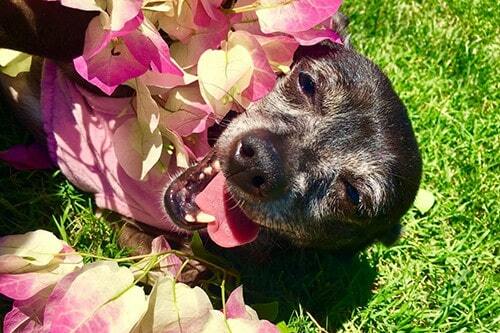 He arrived at the shelter in June 2017 when his owner died and the rest of the family didn’t want to be responsible for any bills, and he came in with a gal named Bella, both senior chi mixes. 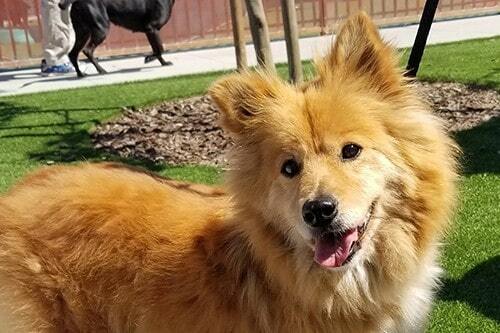 They were reportedly bonded, and they sat in the shelter for a couple months waiting for someone to want to adopt not just one, but two older wawas. It didn’t happen. What was so appalling about Monty’s condition was that he had a broken femur that was severely displaced, and he was never taken to a vet to have it fixed! 🙁 Who does that?? The injury was so old that it was no longer fixable, and amputation wasn’t really an option because he also had another bum front leg and between the two not-quite-right limbs, he was still able to get around. Removal of the rear limb would have caused major problems with his mobility. 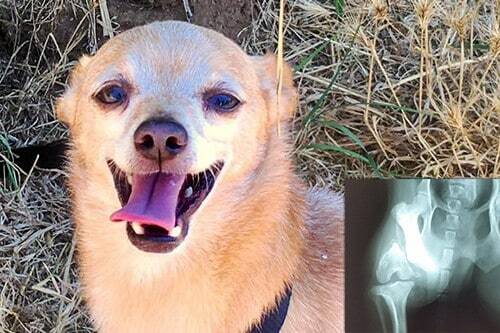 Being the resilient and adaptable animals that canines are, Monty had learned to live with his broken leg and was able to get around well enough. Still though, our hearts broke every time we watched him move, and we were excited to have him in the DMP. While this dynamic duo was in our DMP foster home, we learned that they were not truly bonded animals after all. We were able to share this info with shelter staff so they would approve them to be adopted separately. Asking someone to take two dogs instead of just one makes it that much harder for them to find a home. While Monty and Bella enjoyed each other’s company, they were also totally fine being separated and also got along well with other dogs. Because of this valuable feedback from our foster parents, Monty was able to be adopted by a wonderful lady on Clear The Shelters Day. She came to the shelter and asked for a dog who was going to have the hardest time finding a home. She walked out with our smiling lil man and we couldn’t be happier!! Woohoo! Thank you, Rebekah and Eric, for fostering! This ravishing beauty, Bella, arrived at the shelter with another adorable chichi, Monty, when their owner died and the rest of the family didn’t want to be responsible for any bills. Both dogs were seniors and reportedly bonded meaning they couldn’t be separated. 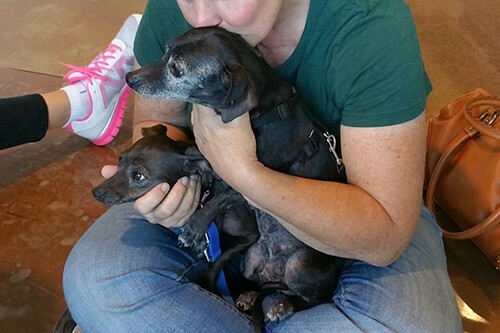 It’s a lot to ask of an adopter to take not just one senior dog, but two. So they sat unwanted in their kennel for a couple months before we were able to take them into the DMP. While with us, we realized that these two nuggets, while fond of each other, were not truly bonded. They could very easily live without each other and/or with other dogs. 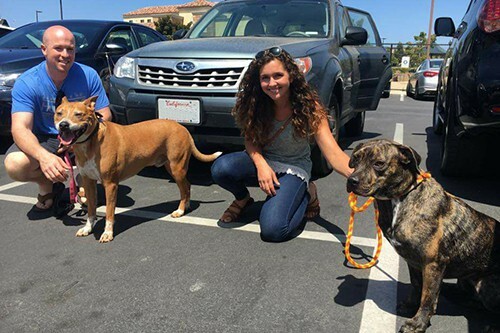 This valuable feedback, which was shared with shelter staff, enabled both Bella and Monty to be adopted by two different families on Clear The Shelters Day in August 2017! Nice! Cutie Chorizo was only in the DMP for a week. You rarely saw him in his kennel at the shelter because he was always buried under a blanket. 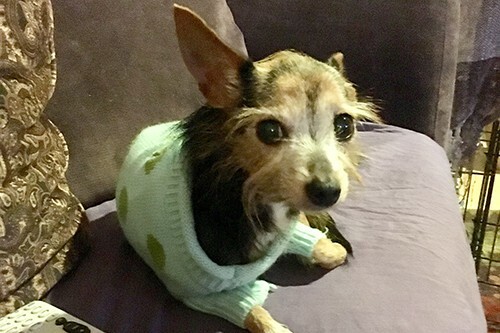 The shelter went the extra mile for this senior guy, giving him a dental when he was neutered, but even with his dashing good looks and energetic personality, lil Chorizo still waited and waited for someone to take him home. That wait ended on Clear The Shelters Day in August 2017 when we he was adopted! YAY! Thank you, Shirley, for fostering! Gentle, shy 9-yr-old DJ was left at the shelter when his family moved without him at the beginning of July. 2017 He had a terrible time adjusting to shelter life and it showed in his behavior in his kennel 🙁 No one who saw him could envision the quiet, well behaved introvert behind the barking, lunging and somewhat frightening dog in the kennel, so DJ was passed up day after day and eventually had to be moved to an isolated kennel to lessen his stress. He simply couldn’t handle visitors staring in at him while confined in his kennel space. Thanks to a willing DMP foster, we were able to place him in a real home in August and told the world about the real DJ. And sure enough, we found his forever dad and forever fur brother before he had to go back to the shelter! Twinsies? Maybe!! 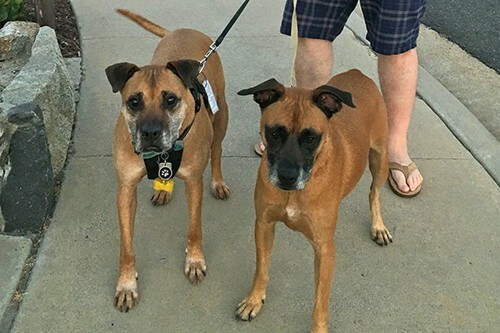 DJ (right) is estimated to be about the same age as his fur brother Rex (left) and they both came from the Carlsbad shelter (several years apart). DJ is a perfect example that the dog you see in the kennel is not necessarily the dog in real life. Thank you, Lisa, for fostering! Animal control officers saved Demi from a hoarding situation where she was kept in a backyard with ~70 of her closest relatives, many on chains. These poor dogs were all emaciated, in poor health, covered in parasites, and almost feral. When the first group was brought to the shelter, many had a difficult time adjusting to so many big changes. And people. Shelter staff and volunteers worked diligently with each animal, helping them to gain confidence and trust while recovering their health. We were thrilled to be able to take Demi into the DMP where she could spend some quality time in a quiet, skilled foster home. Thank you, Melanie, for fostering! Olive was one of the dozens of mastiff blends who were rescued by animal control from a neglectful outdoor hoarding situation. The dogs were all suffering from lack of food, malnutrition, parasites, as well as being unsocialized and unused to any kind of human interaction. Staff and volunteers worked diligently with each dog, helping them to recover their health while gaining trust and confidence in their new surroundings. 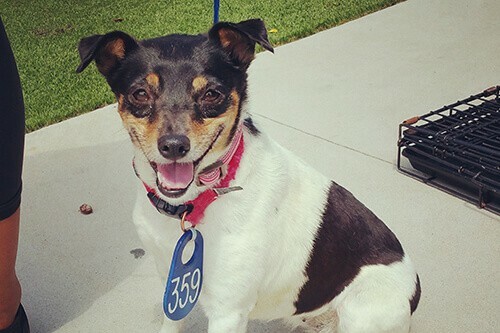 Some of these dogs progressed more quickly and were adopted by members of the public. Others, like Olive, had a harder time and we were happy to have a chance to take this beautiful brindle girl into one of our awesome DMP foster homes. 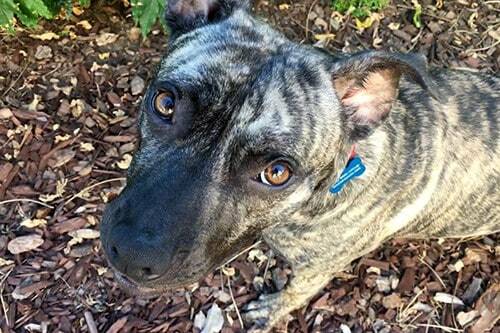 Shy, sweet Olive did great in foster care. She learned what it’s like to just be a dog, to have a soft bed to sleep on, toys to play with, and reliable nutritious meals each day. Like her sister Demi, Miss Olive enjoyed playtime with her doggie foster sis. It was a special treat to see her grow more and more each day. Olive didn’t find a long term foster or adopter while with us in the DMP, but immediately upon her return, she was adopted by a fabulous family on Clear The Shelters Day in August 2017. If only all of the dogs could be so lucky! Congrats Olive! Thank you, Melanie, for fostering again! The Flower Girls – ADOPTED! These two lil bonded ladies, Daisy and Clover, sat unnoticed in the shelter for two months before entering the DMP in September 2017. Being black, and older, and truly bonded, they didn’t even have one single interact with an interested party! 🙁 Their bodies showed signs of a life of neglect, and even though the shelter provided excellent care for both including dentals so they’d have sparkly smiles, they still were afflicted with irritated skin and appeared older than they likely were. After being placed in our DMP foster home, through rigorous marketing and a series of serendipitous events, our Flower Girls found the most amazing forever home and now have the perfect life! Huzzah!! Read about their incredible adoption story here! Squints fka Markie – ADOPTED! Koa was left in the night drop at the shelter in August 2017 by the mother of his former owner when that person ended up in jail. He was quickly adopted by a family with a new baby who returned him a few days later citing all kinds of horrible things about him. What was witnessed in the shelter didn’t match what they reported, so we took him into a temp DMP foster home and put their words to the test. Turns out he’s nothing like the naughty dog they spoke of – in fact, he’s a total gentleman! He showed his temp foster mom that he was such a dreamboat, she and her husband decided to long term foster him until we found him a forever home! So we did. Koa is now adopted by a fabulous fam! Thank you, Lauren and Charles, for fostering! Simba landed in the shelter in September 2017 when his former owner decided it was no longer convenient to keep him. It was a good thing because the poor little guy was dropped off severely matted, infested with fleas, overweight, under socialized and understandably very fearful and reactive. We were able to place him in a DMP foster home and ultimately found him the perfect forever dad before he had to go back! Dad says they’re best buds and it’s been a great adventure 🙂 We’re so happy for these BFFs! Thank you, Stephanie and Chris, and Melanie, for fostering! Lil Ricky’s luck changed for the better when we were able to place him into the DMP in November 2017. Animal control saved him from a hoarding situation along with a bunch of other small dogs, and his previous owners had him debarked. He sat at the shelter for 3 months and was the last of his group of littles still waiting for a home. After moving into temp foster with an amazing family whose previous pup passed earlier this year, we quickly learned what a terrific dog he was and lo and behold, his DMP foster family decided to adopt him! YAYAY! 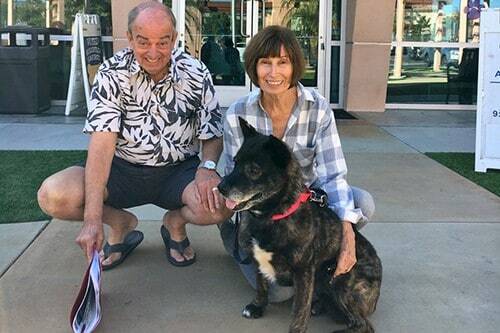 Thank you, Donna and Stan, for fostering – and adopting!! 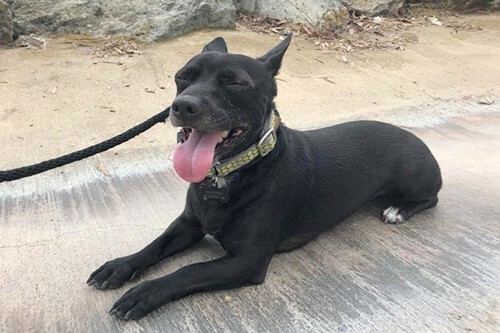 Beautiful Jessie came from a rough past and she was seen running the streets for a week, dragging a chain leash, before animal control saved her. She was super thin and her skin and coat were in really poor shape, her ears almost bald with fly strike. The shelter was worried that she might be developing pyometra, an often fatal uterine infection common to female dogs left un-spayed, so they put her under for spay surgery right away and also gave her a dental. She received excellent care while at the shelter but was there for over 4 months, waiting for someone to appreciate her amazing qualities. She was very shut down and slow to trust, not easy for all of the volunteers to handle due to her shyness. It’s difficult for a dog who is more reserved, and she kept getting passed up day after day. She struggled to gain weight and gain confidence in the shelter and we knew she’d be an ideal candidate for our DiscoverMe Project! From her first day in the DMP, Jessie was already starting to relax and decompress. It took her around 8 days to really start coming out of her shell. Her dedicated foster mom, also a dedicated shelter volunteer, continued to work with her and earn her trust. She even caught Jess on film being a dog a few days into her stay, running zoomies in the backyard and leaping in sheer joy 🙂 It was really wonderful to witness this dog transform in the couple weeks of her stay in a DMP foster home. And thankfully, the day before she was due to return, sweet Jessie found her parents. They adopted her on the last day of her time in the DMP! Such a wonderful success! Thank you, Melanie, for fostering!! This itty bitty 5 pound senior lady, Abby, was relinquished to the shelter with 3 other dogs when her former owner passed away. Sadly, the other 3 were in such poor health, the only appropriate action was to humanely let them go. The shelter felt that lil Abby, however, could still be helped so they took her into their care. They even provided her with a much needed dental cleaning. We had a chance to get to know her better in our temp DMP foster home. While she was there, a lovely family inquired about her and the rest is history. This sweet boy, JJ, arrived at the shelter in Dec 2017 with three other animals due to an unexpected tragedy that befell their former owner and themselves. A staff and volunteer favorite while there, Jumpin Jack had been through a lot of upheaval. Adopted and returned just 3 days later through no fault of his own, we were thrilled to take him into the DiscoverMe Project™ and show him off to the world. During the DMP, we found the perfect foster mom and JJ became an official Wagging Dog. Now he’s happily adopted by a fabulous family and has a feline sibling and devoted parents!! YAY! Thank you, Aaron and Bethany, for fostering! Radish (fka Rudy) – ADOPTED! Radish, formerly known as Rudy at the shelter, is a small chi mix puppy who had a tough past of failed families. He was part of a really bad hoarding case and arrived at the shelter completely unsocialized and fearful, just a baby. He was adopted from one shelter in 2017, returned to a different shelter a couple months later, transferred to the Carlsbad shelter, adopted a few days before Xmas 2017, then returned a few days later due to a bite. Radish is a sensitive little guy who just needed patient, understanding people who wouldn’t pressure him so much. He was hoping for people who would help him to feel safe and able to trust humans again, and thankfully we were able to take him into the DiscoverMe Project™! Radish did so well during this temporary stay that his foster decided to care for him until he found the perfect home. And find the perfect home he did – the Best! Radish now has a dog and a cat sibling and super savvy parents who are committed to his success! Thank you, Mary, for fostering! 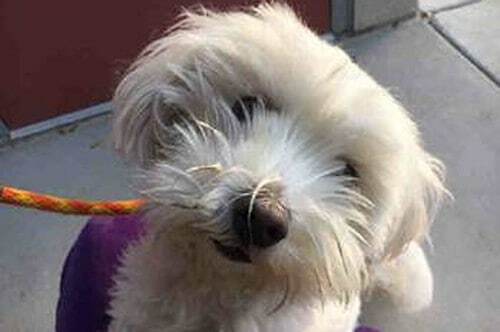 Dudley is an adorable creamy white fluffy who’s just a pup at 2 years old and just shy of 10 lbs. His former owner brought him into the shelter to be euthanized for biting, but we felt that his reactivity was due to a bad ear infection in both ears. We can hardly blame him for acting out when he was suffering and in pain. He is sensitive to hands reaching over his head, likely because of this, but was been a real gem for all shelter staff and volunteers. The shelter treated his ear and eye infections and asked if we could give him a break and get to know him better in a temp DMP foster home. Lucky Dudley boy landed a great temp foster and through our marketing efforts, he found the perfect family to adopt him! Yay Dudley! Thank you, Tiffany, for fostering! Teddy Bear was found dodging cars on a L.A. freeway. The Good Sam who saved him turned him into the local shelter. He was emaciated, matted, covered in fleas and ticks, and limping. T Bear quickly captured the hearts of staff and volunteers alike, and the shelter took excellent care of the Bear. He gained weight, got rid of the unwanted traveling companions, and was put on daily medication to help with his bum rear leg. We were thrilled to be able to take him into the DMP for a couple weeks and give him a break in a clean, safe home. Teddy did stupendously while in temp foster, getting along great with the other dog in the home, passing his cat test with flying colors too. 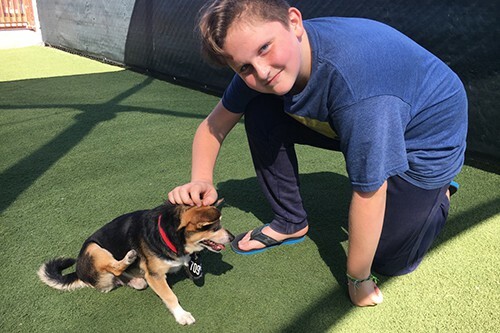 He was so awesome that we received multiple inquiries about fostering and adopting, and lucky Teddy Bear was adopted by a wonderful mom who will take excellent care of her new furry boy. Yay!! Thank you, Mark and Family, for fostering! Miss Snoopy came from a large hoarding situation where she lived in a yard (many on chains) with around 70 close relatives. Shelter staff and volunteers have worked so hard to help these under socialized animals learn to trust humans and have fun just being dogs. They’ve come a long way in a short time. Snoopy is really starting to come out of her shell in her temp foster home. She enjoys playing with her doggie foster sis and we think she’d appreciate a well-matched companion. She’s very trusting of other dogs and they put her at ease while showing her the ropes. Miss Snoopy is slowly gaining comfort around the humans in her foster family. Patience and some tasty treats go a long way. Her foster mom has worked with her for 2.5 months as a shelter volunteer so Snoopy really trusts her. She is a gentle dog who loves belly rubs and stealing your flip flops lol. The cutest thing of all is her snoring. It’s not a loud snore but more of a peaceful snore. A snore that shows she is sleeping comfortably outside of the shelter, inside a safe and loving home, which just makes our heart smile. 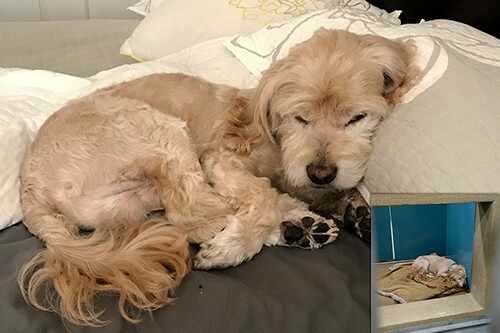 Snoopy found the perfect family for her with patient human parents who adore her and a sweet sis Tallulah and a little shih bruddah nicknamed Stinker. Thank you, Melanie, for fostering! Again! Patch’s foster mom says he’s a lovable little guy who’s loyal to his humans and likes to seek out snuggles (particularly with the ladies lol). He’s been a perfect gentleman in her home, content in his crate at night and chillin in there during the day too (without barking!). He’s never had an accident and routinely does his business in the yard. As you might have seen in Patch’s playtime video, he really enjoys the company of other dogs as long as he’s given proper, unrushed introductions. Once he breaks the ice, he’s incredibly social and playful and we know he’d probably enjoy a playful similarly sized companion in his future home. This onyx coated gem enjoys jogging, hiking and beach days (on lead) and would be a great workout companion or adventure buddy. He’s working on leash manners while he’s with his temp foster mom and will probably need a bit more polishing once he finds his forever fam. 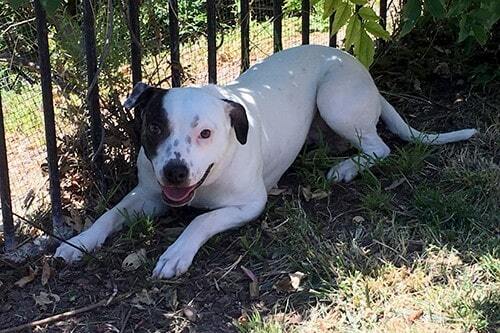 We think Patch will thrive in a home with high school kids on up, or an all adult household. He’s a bit sound sensitive and not a fan of chaos – say, me too! Patch is a fast learner, smart as a whip, and he loves to exercise – his brain too. Put him to work and mold him into your very own ambassadog! Did you know that black dogs and cats have a harder time getting adopted from rescues and shelters? It’s called Black Dog Syndrome. Google it. We LOVE black dogs and cats (especially PATCH! ), and we hope someone out there does too. Patch found his forever family and was adopted from the shelter. Yay for Patch and his new family! Thank you, Stacy, for fostering! Again! 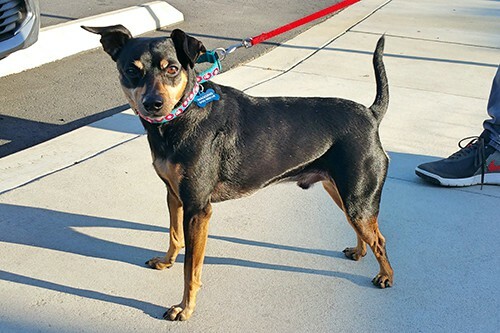 Calvin – AVAILABLE Wagging Dog! Floppy ear’d Calvin is a playful puppy who was able to participate in the DiscoverMe Project™ thanks to a foster who said Yes! 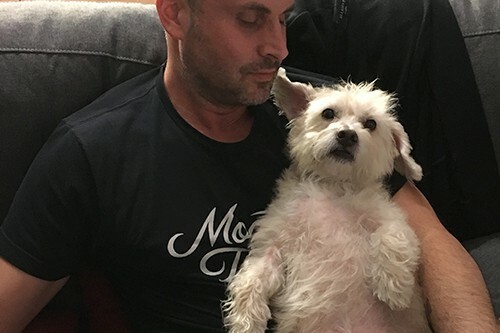 He’s another little dog who was set up for total failure by his original owner, a woman who then abandoned him at the shelter requesting that they euthanize him. Thankfully they accepted her dog but declined to end his life, having seen his awesome potential and her failure. Once he moved into our DMP foster home, Cal proved us right by being a well-behaved dude! 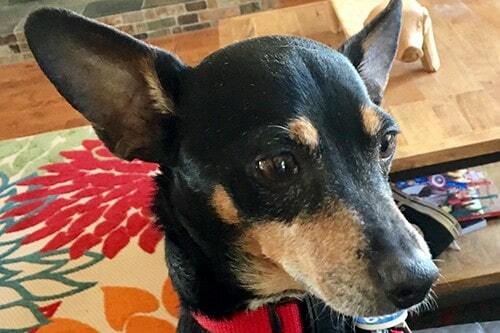 He did so well that his temp foster mom said she’d care for him until we find his perfect family, so Calvin is now an official Wagging Dog and available for adoption! 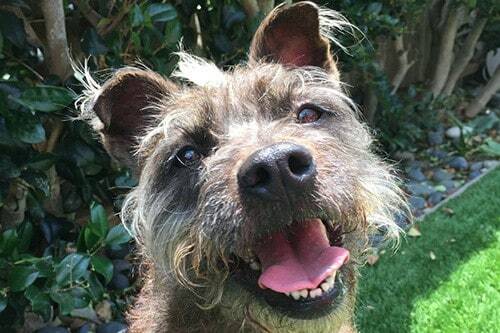 Get more info on our Wagging Dog Calvin! Interested in being a temporary DiscoverMe Project™ foster family? Take the next step and fill out our foster application! We’ll contact you as soon as we receive it. Wagging Dog Rescue saves, fosters and has dogs for adoption in Southern California including Los Angeles, Orange County, San Diego and parts of Riverside County.